For the first time ever, Mondo will be setting up shop at Designer Con and bringing with them a ton of exciting exclusives. 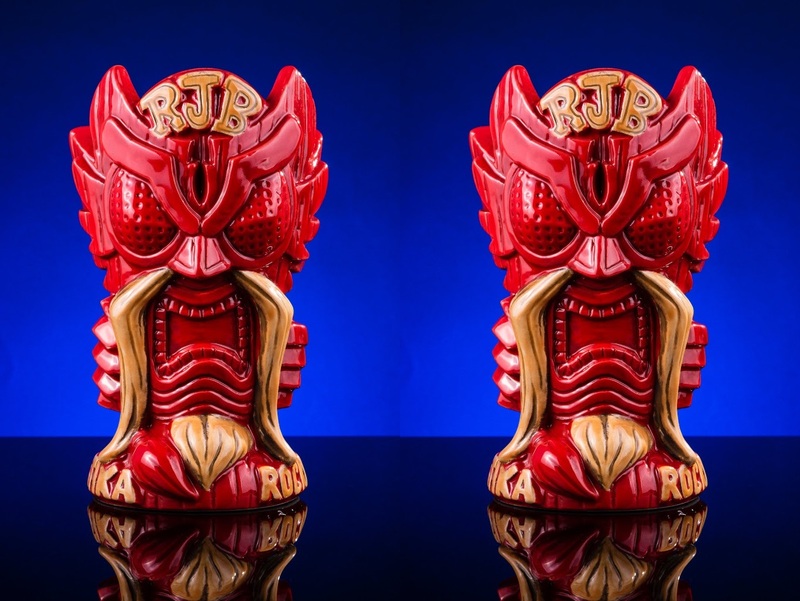 This includes this fantastic Designer Con 2018 Exclusive God Bird Man Tiki Mug by Rockin’ Jelly Bean! 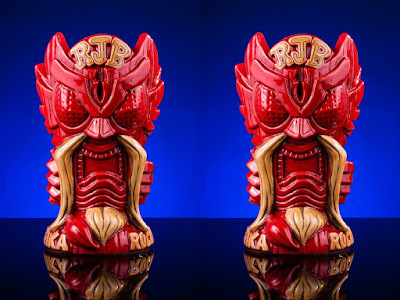 This Mondo exclusive edition is available in a red glaze with yellow highlights. The mug was designed by RJB and sculpted by Mad Sculptures Ware. It holds approximately 16oz and stands 7” tall. Limited to just 250, the first 100 pieces will be sold exclusively at Mondo’s DCon booth #2219 for $65. The remaining 150 pieces will be sold at the Mondo online store sometime in 2019.